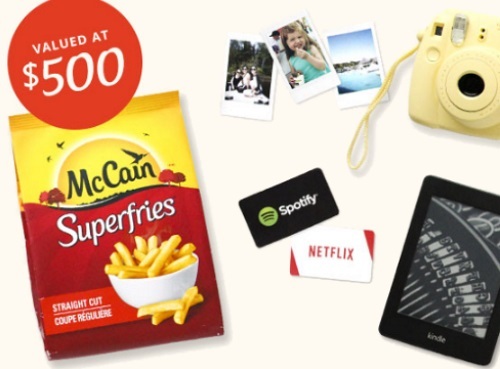 Mccain is giving away 3 Superfries Prize Packs (valued at $500)! Satisfy your craving no matter what the occasion! Enjoy a night in with a McCain Superfries prize pack. Each package includes a Kindle E-reader, a Nexflix gift card, a Fujifilm Instax Mini 8 camera, a Spotify gift card , and a year's supply of Superfries. To enter, click on the link below and scroll down about halfway down the page to view the form.